I’m afraid that whilst this post may be heavy in pictures it will be necessarily exceedlingly light in text. The surrounding country is boldly varied, displaying good mountain scenery. 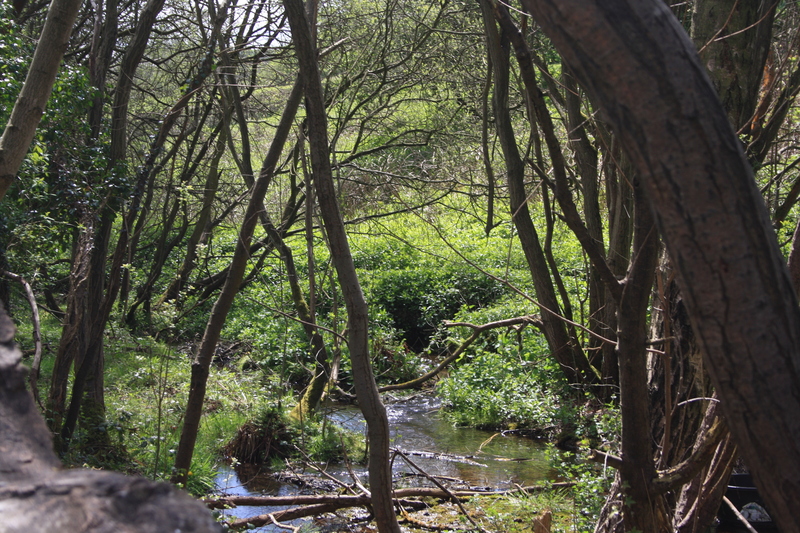 In the parish are some fine springs; one of them, called “Fynnon Sarah,” near the new turnpike-road, is considered to be the source of the river Whieler, which, pursuing a western course, falls into the Clwyd near Pontrufydd. 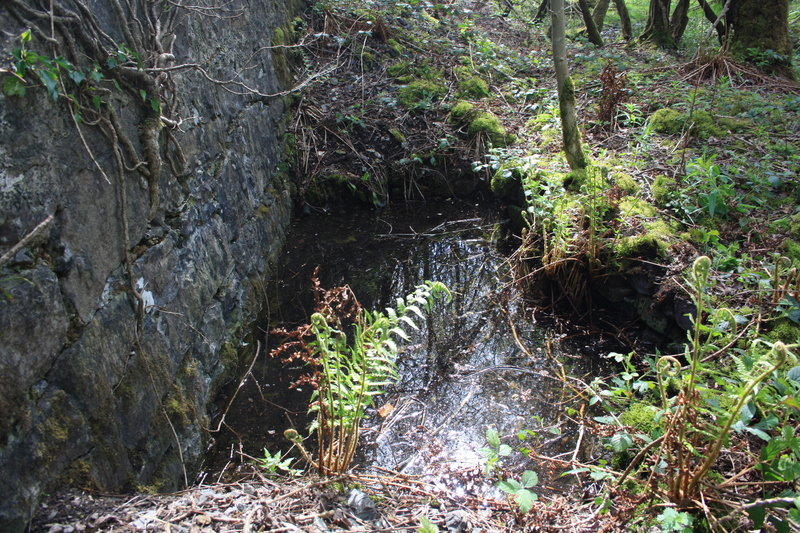 The well has survived the construction of the new turnpike road, the building of a railway soon afterwards, and it’s eventual replacement by the A541 on which you can now rush past Ffynnon Sarah from Mold to Denbigh, scarcely noticing the high stone wall behind which Sarah still flows. 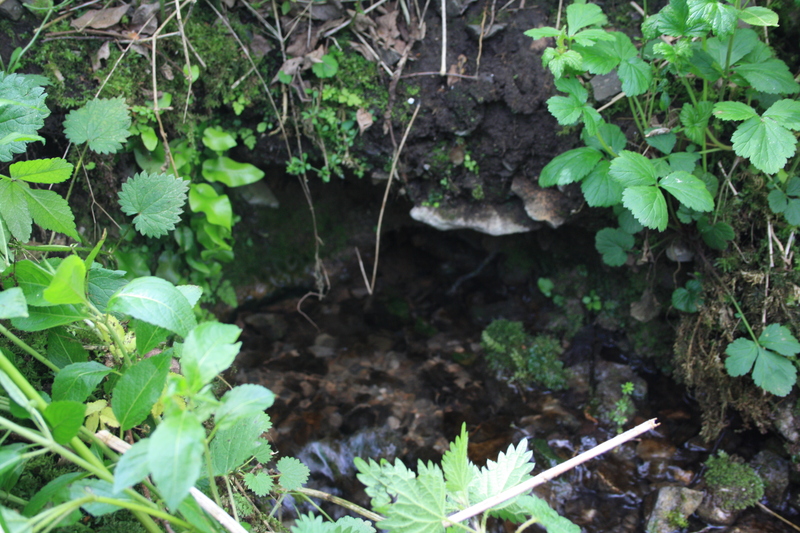 Located in a secluded woodland behind the wall, the water bubbles up from the ground in a small stone lined recess into a bank. 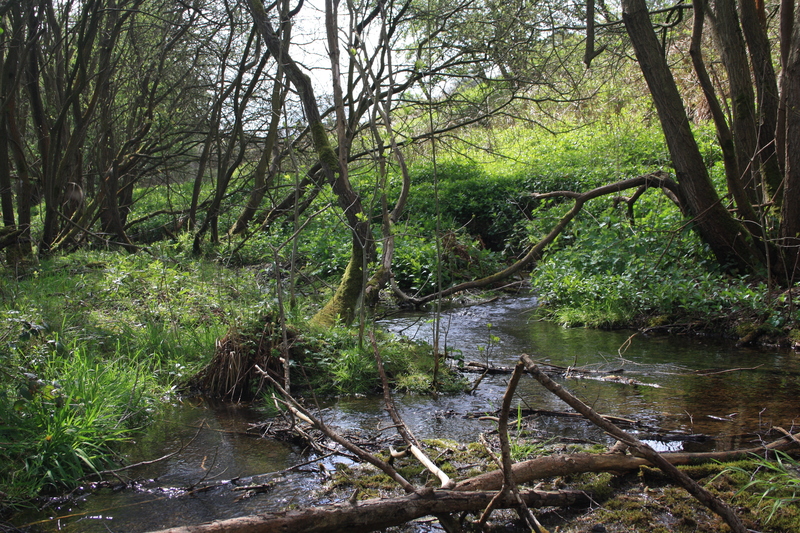 It is fast flowing and soon merges with other water sources to form a wide stream which represents the start of the River Wheeler. 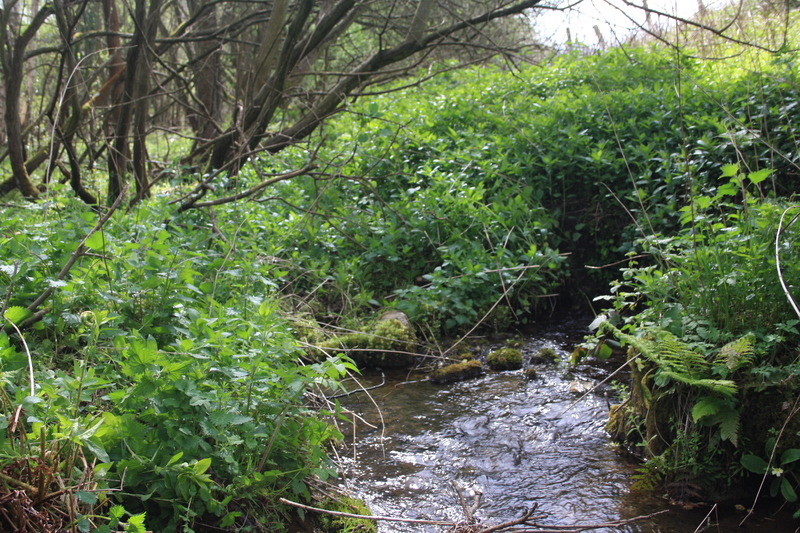 There is no evidence that Ffynnon Sarah was ever regarded as a holy well or attributed any healing powers, it is probably just noted for the strength and volume of its output. 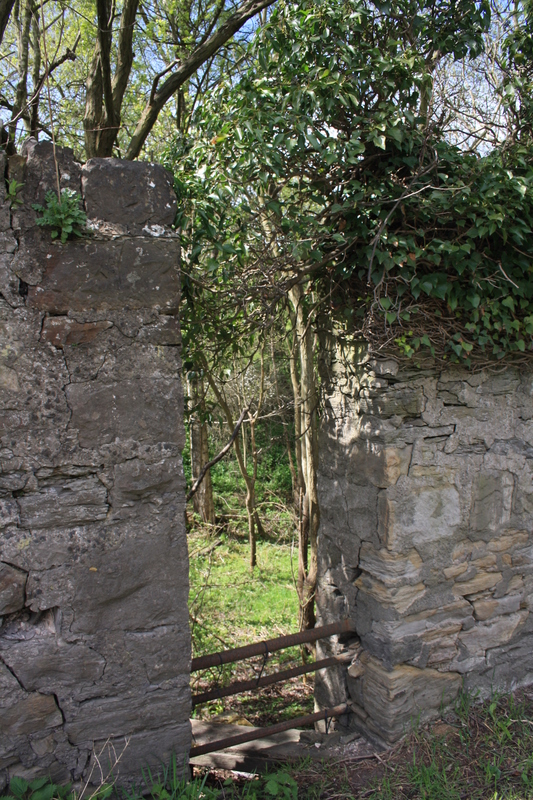 One other feature we noted was a small stone lined chamber, up against the roadside wall also containing water. This is clearly man made, however we have no knowledge of its purpose. Given the lack of documentation, any comments on or stories about Ffynnon Sarah would be most welcome. Some really great photos on here. Very interesting stuff. Thanks.